Let the magic of mermaids fill your walls and your imagination! 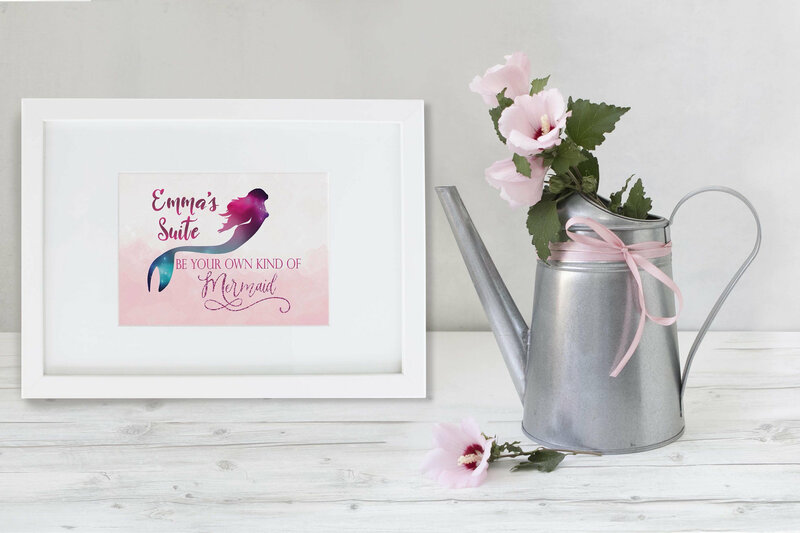 Your little girl will be smiling ear to ear when she sees this print personalized with her name! 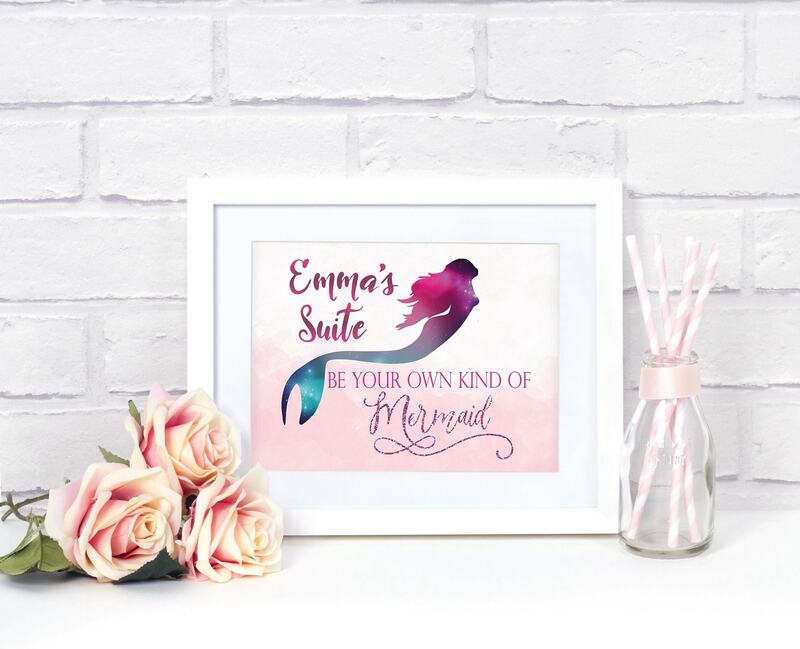 We can personalization this print to your liking. Please tell me in the "Note to Seller" what you'd like it to say. 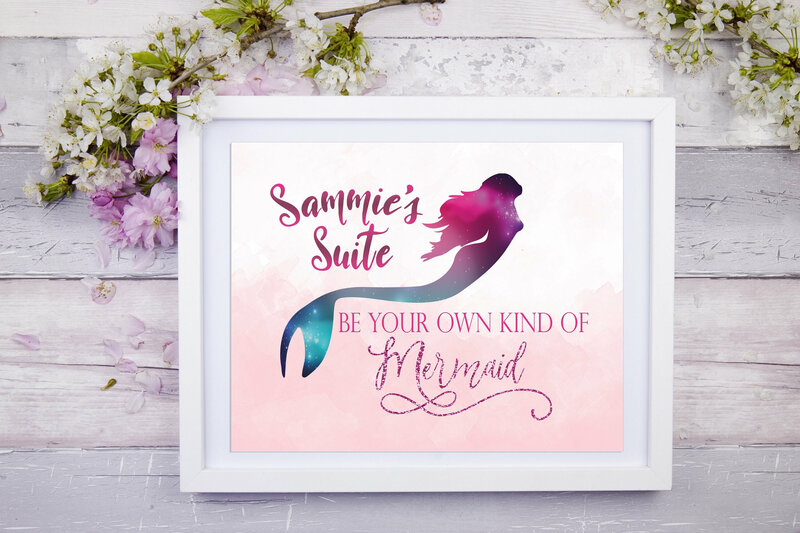 Please note ... the text "Be Your Own Kind Of Mermaid" will remain the same unless you specifically ask for something else there. 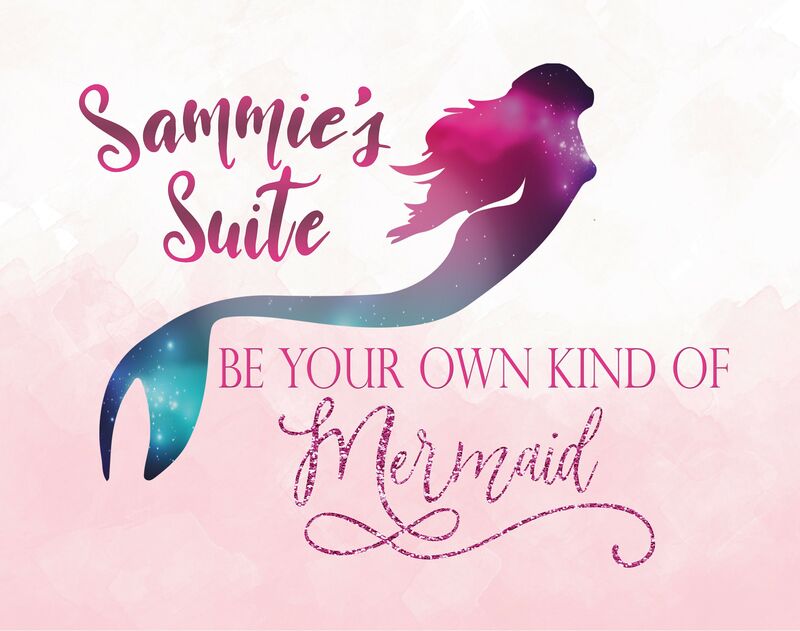 The text that can change is the "Sammie's Suite."